I have like most golfers been enthralled as and when the top list of courses is published by such luminaries as Golf Digest and Golf World..... A combination of votes cast by the chosen select few. I have now played over 1000 courses world wide, left a divot on every continent and a ball in every ocean so whilst on nobodies list of select invitees, I do believe my top ten as having validity in that I have played each and every one of these courses. equally my list is done on one over riding premise..... the enjoyment factor.... not how hard, how many majors the course has held..who designed it but... SIMPLY WHICH DID I ENJOY PLAYING THE MOST. My enjoyment basis is computable by a triumvirate of considerations.......... firstly value for money secondly beauty of the course and location...finally .. the course as a golf challenge.. Number one by a country mile.... Two autonomous quality course the East and the West that for competitions such as the Presidents Cup become one the COMPOSITE taking 12 from the west and 6 from the East. this should not intimate that the East is the weaker course... this amalgamation was done simply as a beneficial expedient initially in 1959 for the Canada Cup... now The World Cup to simply avoid the busy roads that cross both courses and facilitate easier logistics for spectators. these courses are simply one of the most fantastic designs on the planet, Something outstanding and exceptional really was inevitable given that many of the earliest members had their origins in St.Andrews and the outstanding natural terrain of the course was so similar the Scottish links dune land. Given the principal architect was the Peerless Dr Alister Mackenzie, Cypress Point and Augusta National would follow for this doyen of he Inter War period. backed up by Alex Russell and Green keeper Claude Crockford.... the 3 wise men produced two masterpieces. When I played besides the outstanding design... in the first book I comment principally on the Greens, definitely the best I have encountered.. Ernie Eels ( 2002) you wont putt on better greens than these all year"... and the Bunkers.... and I found plenty with the strategic placing and careful design.... yet I just were not bothered so enjoyable the contest of man against nature is on this course. it is a 1920's design and does need lengthening.... difficult in view of the original design... but i will watch the 2012 Cup with interest.. they were trying to make it Tiger proof when i visited.... how times change. 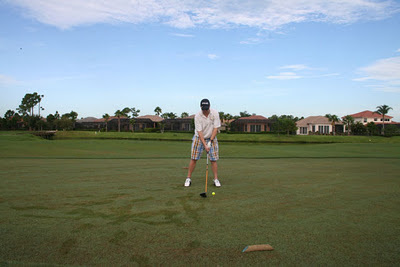 A full detailed review can be found in the first Social Golfer book. Jack Nicklaus famously said " if he had but one round left to play it would be at Pebble. Yes it is that good.... Historic, spectacular,difficult and unique the coast holes in particular are mesmeric. AND anyone can play it, it is a municipal... OK a bit costly but far easier to get on than St.Andrews for example. A full detailed SG review in new book when I stayed at Pebble Lodge overlooking the 18th and also played Spyglass and Spanish Links. 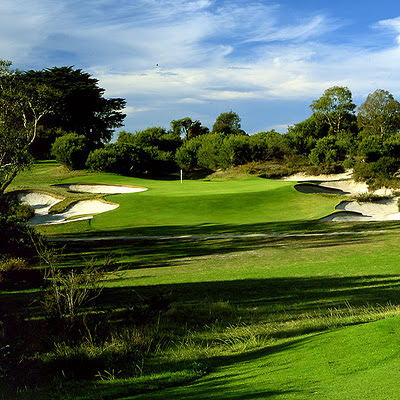 This my last course I would want to play.... why.... well for Karen and I found the Kauri experience to be the most romantic, idyllic, special golfing week of our life. The Lodge has everything..... Michelin dining, fine wines, super Spa.... the Location is stunning overlooking the Bay of Islands the views are sensational and the course is a bit tasty too... we found the experience here better than its sister course at the Farm at Cape Kidnappers which was also absolutely fabulous. again fully reviewed both in new book.... another reason to buy it guys. Located in the Sun City Complex....... simply the best place on the planet for a group of guys or couples to visit. This course home of the 12 man annual million dollar challenge has it all. It is always pristine and in immaculate condition. Its Gary Player design has stood the test of time.... 9, 17 and 18 are sublimely outstanding holes that live in the memory. Its sister course the lost city ain't no slouch with the famous crocodile pit either. Again covered both fully in first book. 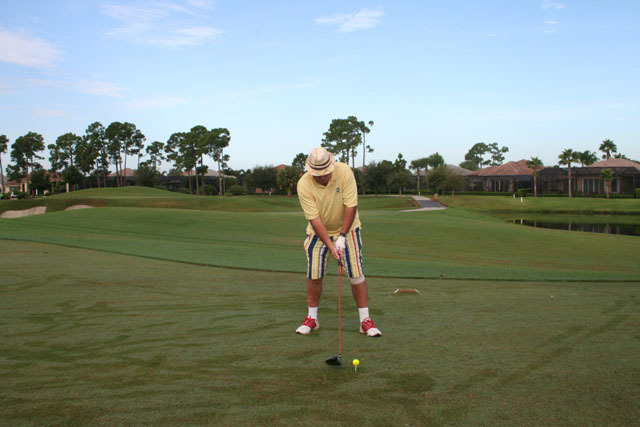 Sun City is a resort any discerning golfer should visit some time. Today the Emirates may not be considered by some pundits the best even in Dubai, with the Els, Montgomeries, The creek et al exceptional courses.... but when I visited Dubai, I only wanted to play, the original, the one, the iconic Emirates with two equally exceptional tracks. How you can consider building this Course in these conditions in the Desert is a modern day wonder now often replicated across the middle east..... but this the first real Desert course may have been imitated but rarely I believe bettered. again pricey but then everything in Dubai is..... reviewed in The Living the Dream book. I doubt any where will this appear in any top ten list, why then does it deserve to be in mine then. Those who have the first book, the front cover, is the 4th at Tecina one of 18 spectacular holes on a hillside cliff falling down to the beach. the club house is at the 18th you need a 2 mile journey up the hill to the first tee. Quirky, unique a fair challenge and in fine condition and sensational vistas, I doubt anyone who ever plays here wont want to return. Covered in first book. again, I doubt this would appear in any classics listing, but this place is special to me. Allow a bit of indulgence, its where I played my first ever overseas round... won my first ever overseas competition, so the memories are rather special. Tunisia is in my mind a very much neglected golfing oasis on the African med.... the courses are well maintained, superbly designed and compared with the rest of the med, unbelievable value for money often less than £20 per round. golf in the sun don't get any better. This 3 course complex on two islands in Hong Kong Bay is rather special... you can only get there by ferry a rather daunting , intimidating twenty min ride which does give sensational vistas weather permitting. A splendid clubhouse and 3 championship courses await. Great value for money an essentially unique oriental experience, but the golf is challenging and absorbing. reviewed in first book. once again this may not be considered the best in these islands of nine or ten very special courses. Le Trossuck for one but I ain't played them so this course will pass muster representing them all. 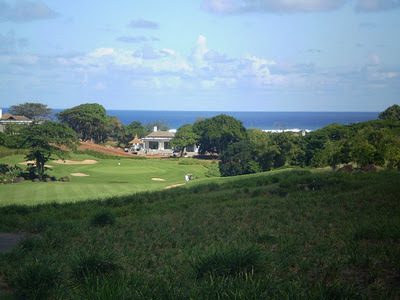 It is a superb coastal course designed around plantations and a hillside. The natural beauty of the location is consolidated into each of the 18 holes. Add to that a course that was in as good a condition as any I played this year it was a wonderful prize I won by winning the British Par 3. Reviewed fully with details of more Mauritius golf in The Living the dream Book. I have found golf in Spain and Portugal to be often very Americanised and theres nowt really wrong with that but it can also extremely costly especially the best courses like Vilamora and Valderrama. I also had until my visit to Obidus every found a true links on the Iberian Peninsula. The Del Rey is a links akin, Pebble and Royal St Georges but certainly in respect of the latter far more sensational vistas. It perhaps only has 2 really truly magnificent holes but is great value for money compared to its southerly more highly rated courses on the Algarve. I thought it was great. again reviewed in the new book. If you played the course reputed to be the hardest in the world how can you not include this in your list. Is it that difficult, Yes most certainly but its as spectacular as it is difficult. They say you need as many balls as your handicap... well yes you do, you wont ever forget a round here.Reveiwed in new book. 12. Nailcote Hall, Berkswell, Coventry. Home of the British Par 3 Championship, this 9 hole course gets in because it is that good as a stand alone challenge. I do not know any of my peers who have not loved this place, its intricate pin placements, its natural beauty.... in my opinion the number one soc golf competition in the world. Tony Jacklin said it were like playing a major championship around a country manor when a tea party was on. Maybe, different and certainly unique but as the professional scores reflect a considerable challenge. I play GOLF because it is good for both my soul and health. After my tumour in 96 and stroke in 06, golf has always been a major catalyst for my ongoing recovery. "There are no bad rounds of Golf save that last one we will ever play" Bernard Hunt. I play Golf because of the camaraderie and friendships that I have formed over many years. In no other walk of my life have these acquaintances often formed so briefly over just a simple round, lasted and endured and given me some much joy and often comfort. I play Golf because it makes me HAPPY. "Happy Golf is Good Golf, even the best Golf, so we are all capable of playing good golf and playing our best." Gary Player. That is why annually I travel over 6000 miles to play in The Florida Open for Golfers with Disabilities. This year saw my fourth visit and I am a proud ex champ having clinched the prestigious title in 2009 at Kissimmee Bay Golf Club.... but although I certainly went with the desired aim of recapturing the coveted title, the event was far more than just a competition to me. it was an annual opportunity to renew friendships, discuss well being and simply enjoy the company of some of the friendliest, nicest, bravest people I have ever met. It was this competition and watching the impressive ways that amputees, brain injured survivors etc., dealt and coped with their difficulties, overcame them thru fortitude, technology, cussedness and a total love of life and the game, that led me back home in the Uk to devote The Social Golfer concept to actively promoting the cause of Disabilities Golf and now becoming actively involved in the UK. So in many ways returning to Florida is a homecoming to my rebirth as a golfer... it remains the only competition I will annually commit too, it is that important to me and quite frankly, that enjoyable. The competition for it is still despite my procrastinations above, primarily a golf competition was played out this year at Long Marsh Golf Club, Rotunda just south of Venice on the Gulf Coast. Once again I was paired with my great friend and mucker Charles Brugh. (Brew) His story needs little introduction to most TSGers but save to say how this guy is alive and playing golf is in itself the biggest achievement I personally have ever come across. It was great to see again defending champ Steve Shipeleski a fine guy and great one handed golfer.. he was the man to beat I was sure. The past two years rounds with brew lasted 6 to 7 hours such was the difficulties he endures to play this most beautiful of games. This year we went round in just over 5 hours testament to his ongoing improvement and recovery, a lot of which he puts down to golf. He scored 113 had a super par5 on the 14th and played 14 thru 17 at just 3 over. This for me was the highlight of the entire day as his No 1 English caddy encouraged and motivated his mucker to play the golf of his life. Every round with thi guy i spiritually uplifting and fulfilling. Playing of fwd tees a course of just over 5000 yards obviously made it much easier for me. I discussed with the pro my handicap and agreed to reduce it to 7 for this competition. There was a net category as well as the Gross. I shot 73, bogeying miserably the last.. a costly error. I had beaten Steve he shot 76 off ten we led the net as well with 66, so my reduced handicap proved to be a fair one. My Gross Score led until the last fourball, when a superb one under 71 was declared..... was I disappointed, yes, but the winners story equally as enthralling,an ex air force serviceman, injured playing American football I believe, had actually designed a caliper to assist his golf having never played up to 6 years ago he his know a single digit player and this is now available for many suffering similar joint problems. He certainly deserved the title and is a very worthy champion. A super buffet followed courtesy of the club and then the presentations and awards were made. here Dave and Joe make the day so special involving all the participants, so you become truly aware of every ones difficulties and life changing stories and of course the considerable work done by so many organisations to help golfers with difficulties. I won a King Cobra Driver but having snapped my Ping G10 and replacing it already by a new G15 on this trip, I got great pleasure donating it to a local Veterans Golf Day for a prize in their February event which I will commitments not withstanding try to get over to play. Uplifted, fulfilled I had played VERY HAPPY GOLF, been reasonably successful and helped my mucker continue his golfing adventure. Mr Joe Styne now a noted author himself, said some very complimentary about me , I very nearly blushed. 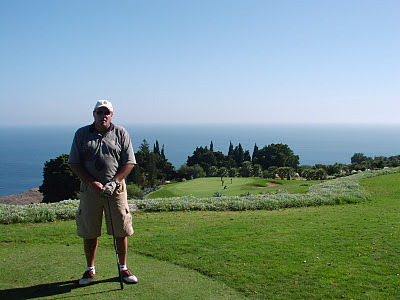 I certainly hope some of my Uk chums hopefully PegLeg Roger for sure, the new EDGA Rapello in Italy Champion may join me in 2012. A special Thanks of course to Joe and Florida Golf Magazine for sponsoring the event again.... Dave at the Adaptive Sports Golf for his organisation, support and encouragement. Long Marsh Golf Club for putting on a wonderful event. The course was in superb condition, Greens wonderful, design stunning, I will return. the Staff from Catering, Pro Shop thru Green Staff etc., all deserve extra commendation for the patient, pleasant often humorous way the dealt with 40 golfers not of the norm!!. But principally, I thank my fellow competitors who are the real reason for the success of this competition. A Joy to be with, a pleasure to play with, I am proud to be associated with you all. I could simply eulagise about this competition all day long...... Laughter permitates round the course from holes one to eighteen as golfers despite their respective difficulties and disadvantages show an unbridalled passion and enthusiasm for this pastime I so love. Each encouraging each other over every shot, celebrating the good ones, commiserating the not so good. So a gamut of emotions, Disappointment I didnt win, tempered by the Excitement of participation, Joy at renewal of friendships.... Thrill of playing such a beautiful course.